LAHORE: Railways Minister Sheikh Rasheed Ahmad said on Saturday that four new passenger trains were in the pipeline and announcement to this effect would soon be made to facilitate those areas where road network was not good. Addressing a press conference after chairing several meetings on the railways at the PR Headquarters, he said that Prime Minister Imran Khan would inaugurate ‘Thal Express’ on February 12, besides the inauguration of tracking system in trains. Thal Express would run between Rawalpindi and Multan via Muzafargarh, Layyah, Bhakar, Kundian and Mianwali. “I will personally monitor the train and track on February 13,” he said, lauding the efforts of PR workers in providing coaches for the newly-introduced trains. 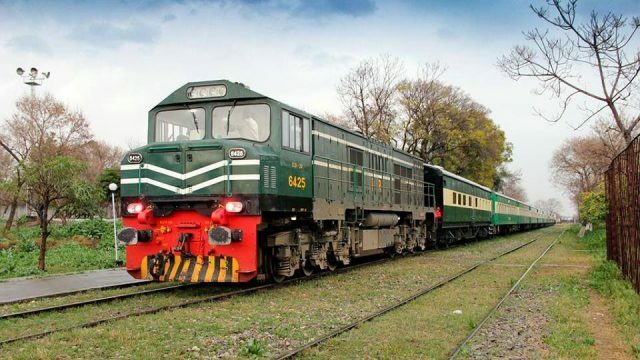 The minister informed that a new VVIP train ‘Jinnah Express’ (between Lahore and Karachi) would become operational from March 30, whereas another VVIP train ‘Sir Syed Express’ would be introduced later. Criticising the previous government, the minister said that former planning minister Ahsan Iqbal wasted Rs2 billion on the construction of Narowal and Okara railway stations where the income was lower than Rs600,000, whereas not a single penny was spent on Lahore and Karachi railway stations. He announced that he would visit Karachi and Lahore every week, as PR’s freight headquarters had been shifted to Karachi. He vowed that the citizens would be able to enjoy world-class facilities at railway stations, as well as in trains, within two to three months. Sheikh Rasheed said that divisional superintendents had been given the authority to manage their respective matters, including land issues and action against ticket dodgers. He said that four freight trains would be added in the system and wished that he wanted to increase the number of freight trains from 8 to 20. The minister said that a high-level cabinet committee has also been constituted on ML-1, which has been scheduled to meet next month. He said that ticket dodgers were causing Rs60 million loss per week to the railways, however, the number of ticket dodgers had been reduced owing to strict vigilance by the department. He informed that three railways schools had been shut down while tenders would be given to the private parties to handle the operations of all railway hospitals and schools. He said that divisional superintendents had been directed to ensure cleanliness and greenery in their respective areas.